Around the globe, the YWCA operates in 125 countries reaching 25 million women and girls through its work in 22,000 communities. It is the oldest and largest multicultural women’s organization in the world. In the United States, the YWCA, founded in 1858, has 300 local Associations in 9 regions that serve 2 million members. Women come to the YWCA for many reasons; for health and fitness, for childhood education, for leadership seminars, for domestic abuse services, for job training, for career counseling, for aquatics, for housing, for summer camp, for after school activities, for birthday parties, for community-wide racial justice events, and for much more. Since its beginnings, the YWCA has been a major force in this country’s struggles for freedom, justice and equality. Established in 2006, and a sellout since its inception, the Old Bags Luncheon® features silent and live auctions of new handbags, designer bags, vintage bags, golf bags and pet carriers donated by designers, manufacturers, retailers, and individuals. Proceeds exclusively help fund YWCA Domestic Abuse Services. 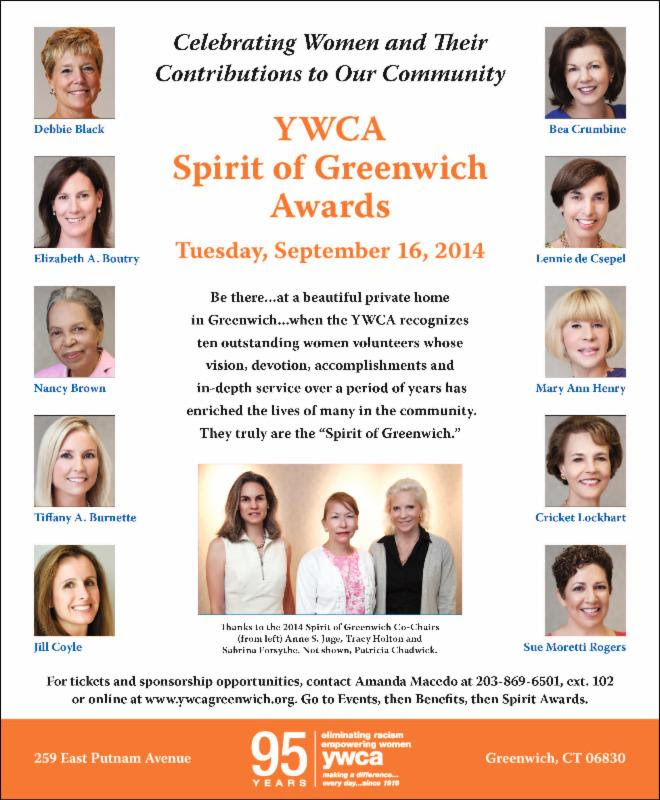 The YWCA is the sole, licensed provider of domestic abuse services in Greenwich and provides a full range of free 24/7 services to victims.